I also had purple, they came out stunning in the photos, everybody thoght the colour was fab. Cant seem to open the link?? Got in, ye all looked great...love the color!! 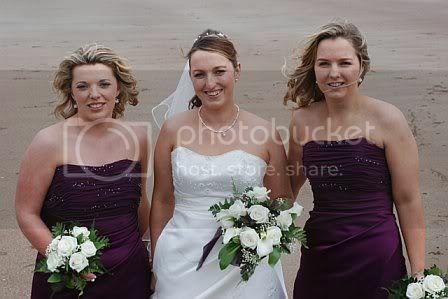 Wow Angel, they are fab, although I do remember seeing your pics on here just after I'd got my bm dresses, love that cadbury purple colour. Creative Invites yours were gorgeous also, love the design on the bodice of them! I had purple bm dresses too and everyone admired them! Ihad purple bridemaid dresses they really looked fab on the day.